Dr. Naik earned her BDS in 2002 from Ahmedabad University [INDIA]. She received her DMD degree with honors from Boston University in Boston MA in 2008. Post graduation she worked as an associate in Worcester at a private practice for 4 years and moved to beautiful Western Massachusetts in 2012 to raise her family. Dr.Naik transitioned into the practice of Dr.Thibault, who had a very successful and satisfying career of over 4 decades. Dr.T is a patient of Dr.N now and every time he comes back for his 6 month re-care visits he is amazed to see new technology in the office, starting with Digital x-rays to the recent CEREC crowns. In Dr.Naik's own words "Your comfort will be my priority. I train extensively and attend numerous continuing education courses so that I can provide you with the very best care available". She is exited to offer her patients same day dentistry with CEREC system [https://www.cereconline.com/] which allows her to mill crowns in office and place them on the teeth in a single visit, as opposed to having the crowns made in the lab. Patients greatly appreciate this as it eliminates the need for a second appointment and we know your time is valuable. 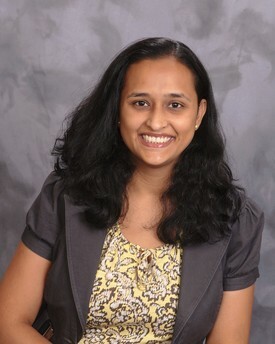 Dr.Naik is INVISALIGN certified [http://www.invisalign.com/]and recently got trained and certified in 6 MONTHS SMILES [http://www.6monthsmiles.com/]and is exited to present her adult patients more options to straighten their teeth. She has 2 kids and they keep her busy with all their activities and boundless energy. A lover of outdoors, she enjoys hiking and camping with her family and unwinds with music.